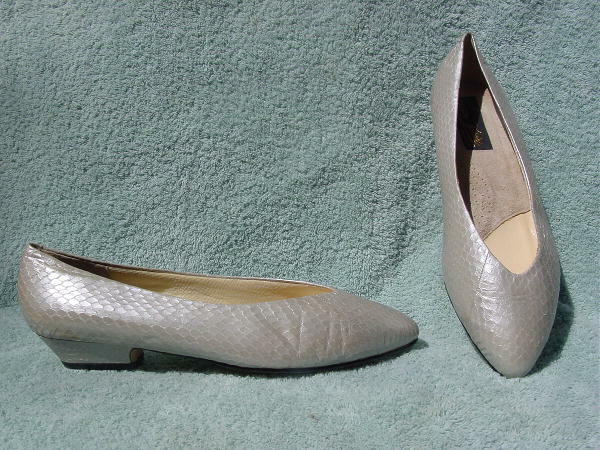 These never-worn leather upper (balance manmade) modified flats have an embossed snakeskin surface. They have a suede cushioned partial inner sole. They're in a pearlized light gray. Her boyfriend bought them as a gift for her. She takes a size 11.